There are many reasons you might want to delete multiple or all contacts from your iPhone. You might want to give your device to someone else to use or you want to remove multiple contacts. Deleting contacts from an iPhone is no doubt a time-consuming task especially if you wish to delete multiple or all contacts from your iPhone or iPad. This is due to the fact that the iOS software only allows you to delete one contact at a time, which doesn’t sound bad in principle but becomes tedious if you have numerous contacts you wish to get rid of at the same time. However, don’t let this worry you because there’s a simple way you can delete all your contacts from your iDevice, or just the multiple contacts you have selected. The following two tutorials will teach how to quickly delete contacts and they work perfectly for iPhone, iPhone 4, iPhone 4S, iPhone 5, iPhone 5C, iPhone 6, iPhone 6S, iPhone SE, iPhone 7, iPhone Plus, iPad, iPad Air, iPad Mini, and iPod. Now, you won’t have to waste time deleting a single contact at a time. 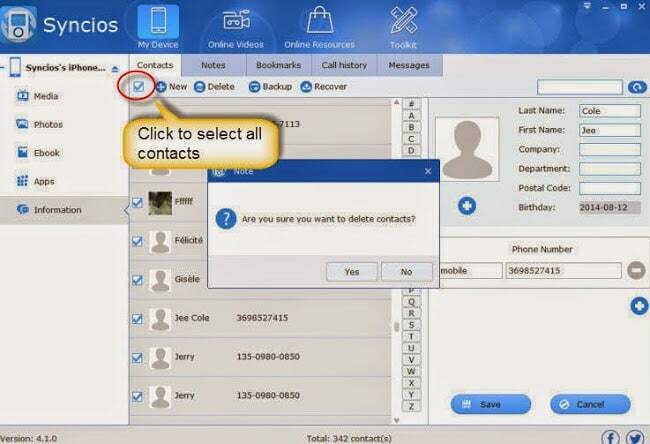 You can delete all of your iPhone contacts in 3 simple steps through Syncios iPhone Transfer. Step 1: The first thing you need to do is install the Syncios iPhone Transfer on to your computer. Keep in mind that iTunes needs to be already installed. However, you don’t have to run iTunes to use the new software for deleting contacts. Step 2: Launch Syncios after connecting your iDevice to the computer with USB. The device information will be displayed once a connection is established. Simply click the ‘Information’ tab present on the left hand side vertical column. Step 3: By clicking the empty-box on the upper-left hand side you can select all contacts and then click ‘Delete’ to remove them. Checking the multiple contacts option will remove the selected contacts from your device when you click ‘Delete’. 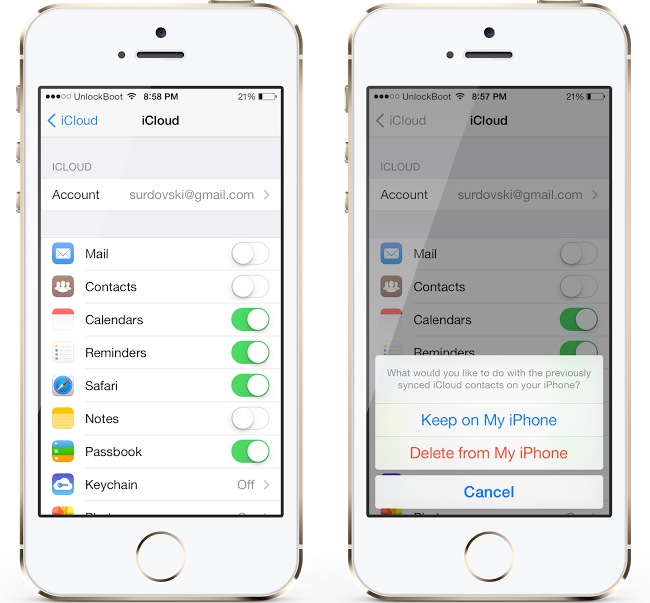 Another way you can easily delete contacts from your iDevice is through iCloud. Step 1: Launch the Settings app by tapping the Settings icon on your iPhone home screen and then tap iCloud. Step 2: You will see a switch next to Contacts. Set it to OFF. Step 3: Tap on the Delete from My iPhone option. 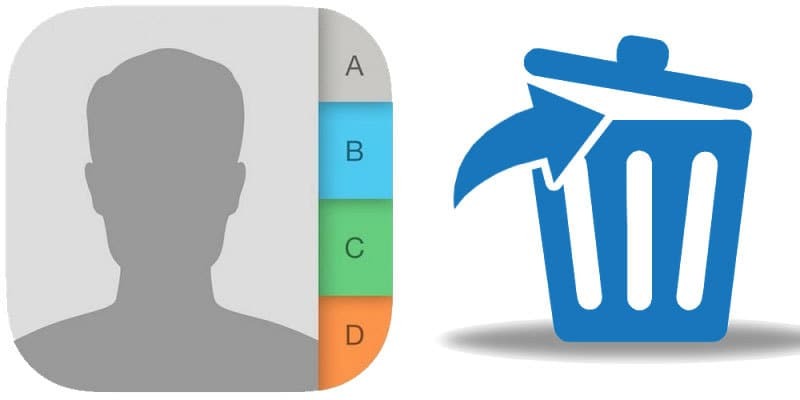 Using these two simple tutorials you can delete multiple or all of your contacts on your iPhone with just a few clicks.